This is on eBay right now. Auction ends on Sunday, June 6. 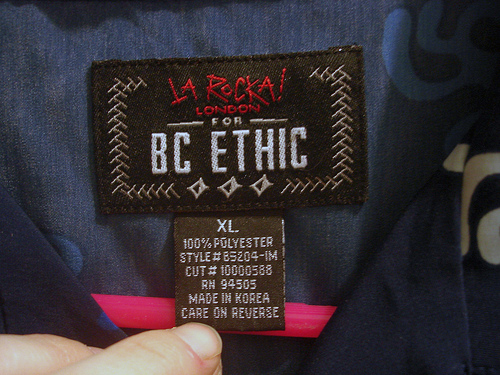 It’s a rare, ShagÂ® Hawaiian shirt made for BC Ethic, UK. And healthy guys? It’s an XL! In all my years of rallies I’ve only seen this shirt once so it’s definitely rare. 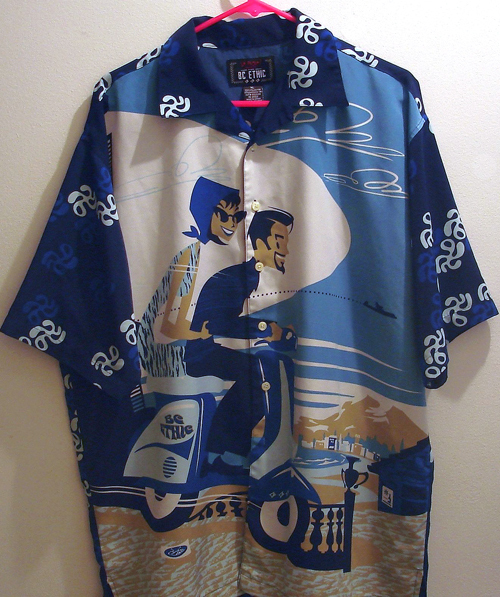 This entry was posted in Clothing and tagged hawaiian shirt, scooter, shag, vespa by Tracy. Bookmark the permalink. It’s not actually a Shag, it’s by an artist called Rian Hughes.